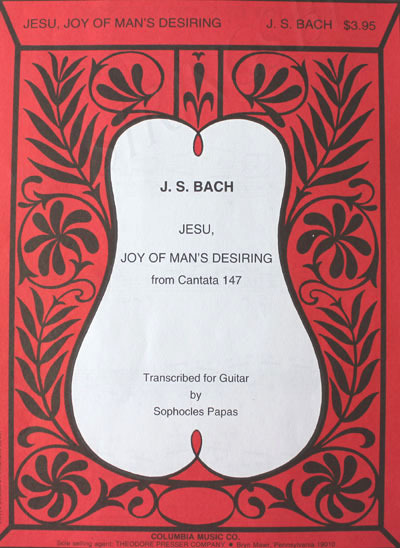 This publication of Jesu, Joy of Man's Desiring (from Cantata 147) is arranged by Sophocles Papas who was a student and life long friend of Andrés Segovia. Instead of this song being written in G major (like Christopher Parkening’s arrangement), it is written in A major. It is a really strong arrangement, and I recommend it to any serious classical guitarist.